Being busy is a great problem to have, so we don’t mind one bit when we need to combine our day to day activities. That said, we recently invited Katy McCoy of Lemonayde Digital Marketing to join our small series of Designers Who Dine “meetings”. As we sat in the deliciously quaint restaurant, The Garden Table, in Broad Ripple Village I felt relaxed by the ambiance and delighted by a menu of locally sourced food. 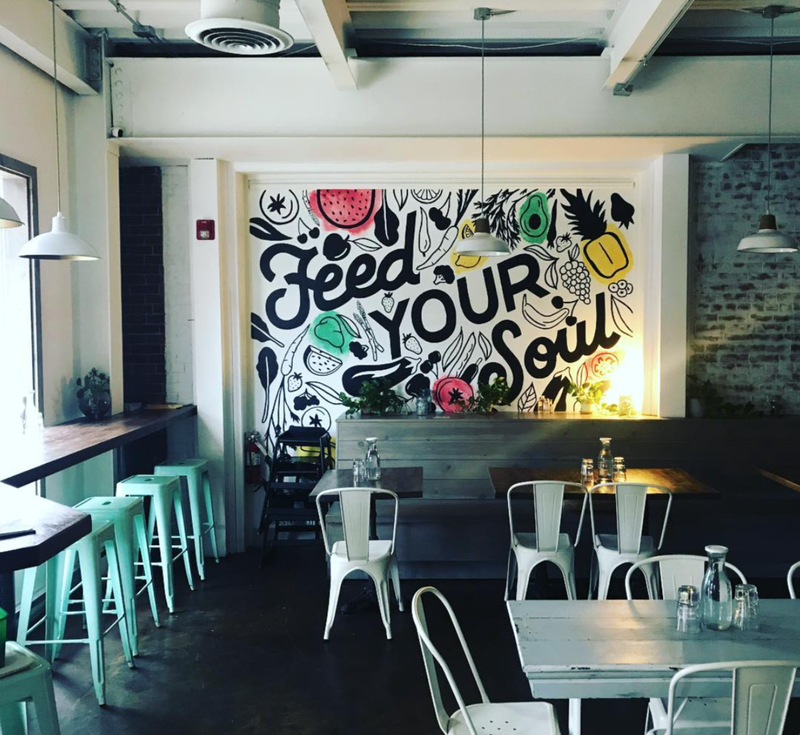 Sometimes, the industrial quality of design can make a space feel cold and unwelcoming - not this time - the only thing cold about this spot is its fabulous cold pressed juice! · Social Media is great for your Brand. In fact, according to BrandWatch, 50% of users follow brands on Instagram. · You can gain insight into your demographics by becoming a business account. · According to Lyfe Marketing, Instagram’s engagement rates are 58% higher than Facebook’s and 2,000% higher than Twitter’s. · With more than 2 billion monthly users, Facebook hosts over a quarter of the world’s population, providing advertisers with an unparalleled opportunity to reach virtually anyone and everyone.